Do you ever find online articles entitled “legitimate work from home jobs” and wonder if they’re really as legit as they say? I get it. For a long time I was under the impression that any online earning ideas had to be a scam. However, after doing some research I learned that you really can work from home. In fact, for the past five years I’ve been making between $15,000 and $25,000 per year working from the comfort of my own home, all while my kids sleep soundly in their beds. My work-from-home income sources came to me quite by accident, honestly. It was January of 2013 and I decided to start blogging as a way to chronicle my family’s journey out of tens of thousands in consumer debt. As I started reading other personal finance blogs, I would stumble across articles on working from home. To be sure, there were a lot of articles that shared unrealistic or time-intensive ideas for work from home jobs that just wouldn’t work for my particular situation. Quick Money Hack: Sharing your opinion online is a quick and legitimate way to generate income from the comfort of your own home. I am a huge fan of Survey Junkie simply because they’ve been around since 2005, their platform is extremely user-friendly and they have a Trust Pilot Rating of 8.8 out of 10. But the more research I did, the more I realized legit work from home jobs do exist. As I waded through the various opportunities inside the work-from-home-jobs genre, I began finding a few that would actually fit my skills and my lifestyle. One particular skill I have is writing (although some may disagree 🙂 ), and as I continued writing on my now-defunct blog, I started catching the attention of other, more popular bloggers. Six months after I started my blog, I received my first offer for a job as a freelance writer. I haven’t looked back. 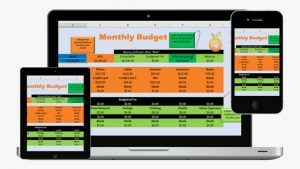 My income from working from home that first year was under $1,000. But, I kept on searching for more opportunities until I reached an income level that was satisfactory for my situation. 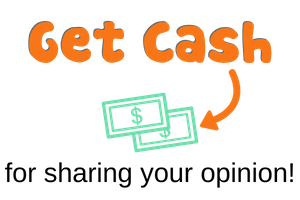 If you’re interested in working from home and making some legitimate cash, read on for some potential cash-producing opportunities. Call center or customer service jobs are likely some of the most popular work-from-home positions available. So many companies find it is much more cost-effective which also makes for happier employees when customer service and call center reps can work at home. Here are some of the more well-known companies who allow customer service reps to work from home. Yes, the retail giant Amazon does hire work-from-home people as customer service agents. Remote jobs are not available in all areas, but there are often positions in several areas of the United States and around the world. As a customer service agent you’ll have more job opportunities if you can speak multiple languages as well. When you search the jobs listings quickly you will find opportunities for those who can speak both French and Japanese. The types of positions and locations they offer will vary, however because Amazon is such a large company there are almost always available jobs to choose from. Most positions with Amazon pay around $10-$12 per hour. You’ll likely have assigned shift hours they want to you to work as well. Note: they do offer other types of remote positions as well, including degreed positions with potentially higher pay and a budding career path for those who are interested. U-Haul, the moving company, frequently hires customer service reps to work from home. One of the great things about U-Haul is that it will hire customer service personnel as young as 16 years of age provided they have the professional skills to be a great customer service rep. In these types of positions, you’ll mostly be helping people with booking moving vans or trucks. Search the U-Haul website via the link above to determine if they currently have any work-from-home openings for customer service reps.
VIP Desk Connect is an outsourcing company hiring customer service reps to work for various individual companies. At the time this post was published they are seeking people to work remotely in customer service. Since each of the companies they work for has different parameters, you’ll need to contact them directly via the link above to find out more. Hilton Hotels encompasses a number of different hotel brands all over the world. They are often seeking reservation specialists who can work from home. They ask that their reservations specialists be available to work at least 25 hours per week, including nights, weekends and some holidays. If you like helping people book and manage their hotel reservations, this could be a great job for you. Technology giant Apple hires At Home Advisors to work from home providing world-class customer service to those who call in for help. If you have great customer service and communications skills, enjoy helping others and are willing to learn about Apple products, this could be a good job opportunity for you. Alorica hires thousands of work-from-home agents to provide high quality customer service for their clients. They’ll even pay you as you train. This company doesn’t hire in every state but does have opportunities for call agents in most states. Check out their website via the link above for more information. 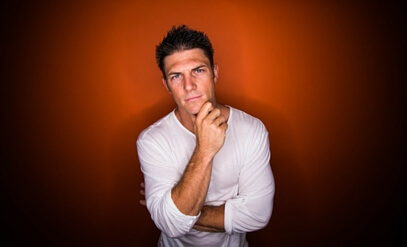 Televated provides customer service, chat and email services for multiple clients. You’ll likely be given set hours to work for Televated, and you need to have an up-to-date computer and high speed Internet access. Prior call center experience is preferred but not required, and you’ll need to have a quiet space at home where you can work and serve customers without interruption. Convergys hires customer service reps, sales support and technical support specialists to work from home. They also offer medical and dental benefits, a 401(k) plan and a college tuition reimbursement plan for many of their employees. As a Convergys employee you’ll both train and work from the comfort of your own home. Sitel Group customer service reps answer calls about billing inquiries, order statuses, account questions, installation scheduling and more. They manage call center reps for a number of industries including financial, retail, telecommunications, hospitality and healthcare companies. Concentrix is another company that hires and trains work-from-home customer service reps for other companies. If you are looking to work from home as a customer service rep, and are organized, independent, disciplined, personable, focused and an effective communicator, the people at Concentrix would love to hear from you. Yes, HSN, better known as the Home Shopping Network, hires people to work from home doing mainly sales representative positions. Note: sales reps with HSN don’t directly sell anything; instead they help customers who call in wanting to buy something. One caveat: you need to live in the Toledo, Ohio or surrounding areas in order to qualify. Check out this link to HSN for more information. Xact Telesolutions provides a variety of home-based jobs for other companies including inbound customer care reps and sales reps. They provide flexible scheduling options, and benefits and paid time off for some workers as well. There are also some team lead, management and supervisory positions available within the company that specify they accept remote workers. NexRep hires work-from-home professionals to provide sales, service and tech support positions for its clients. If you’re friendly, outgoing and passionate about being the best at what you do, they’d love to hear from you. You’ll need to be a U.S. resident to qualify, have a quiet space at home where you can speak with customers, and you’ll be asked to pay $25 for a background check as well. Cruise.com hires customer service agents, cruise sales agents and online support agents to work from home. Most positions require a minimum of 1 year of cruise industry experience and/or call center experience for applicants. Also, all positions have sales responsibilities for selling insurance from their insurance partner, Allianz. Training for selling the insurance is provided. If you like travel and like selling, this could be a good choice for you. Working Solutions hires customer service agents to work from home. In order to qualify and be assessed for hire you need an up-to-date computer, high speed Internet connection, landline telephone, a desire to succeed and a commitment to hard work. The site says that assessments for potential agents could take up to an hour and should be completed from the computer you plan on working from. Not the customer service agent type? Good news! There are still legitimate work-from-home jobs available with little or no customer contact. Instead, you’ll be doing data entry work or transcriptionist (either medical or non-medical) work from home. Here are some of the best job opportunities in those areas. AccuTran Global hires transcriptionists to work from home. Qualifications include being able to type at least 60 words per minute (WPM), being a good listener and having a thorough knowledge of the English language and proper grammar. Applicants will be given a transcription test and do need to have a computer that is less than four years old. Note: Their work is largely seasonal and you’ll have to be available when they need you. DionData Solutions hires data entry workers to work from home. Qualified applicants must type at least 60 words per minute, have sufficient computer skills including attaching, downloading and uploading documents, and be committed to completing tasks in a timely manner as required by each job. You must also have excellent verbal and written communication skills and be able to work efficiently with minimal supervision. Clickworker hires people to perform a variety of jobs such as translation, research and data processing. Each worker is allowed to choose which jobs they want to take from the available pool of tasks. Most of the jobs are smaller and can be done quickly if you are efficient. Being efficient will raise your rate of pay since you are paid by the job and not on an hourly basis. Appen hires work-from-home people for transcription and other types of jobs. This is a global company that hires people from around the world. You can search through Appen’s available jobs here. Remember to look for other types of jobs that are remote too, and not just transcription jobs so you can find the best job opportunity for you. Knowing multiple languages is a plus since they service clients worldwide. Birch Creek Communications hires transcriptionists (corporate transcriptionists, not legal or medical) to work from home. They don’t provide any training – you need to learn the trade on your own if you don’t know it already. Tutoring online is another great way you can make money working from home. Most online tutoring jobs are independent contractor positions and not employee positions. If you have skills in a particular school subject or would like to help people learn a second language, this could be a great work opportunity for you. Here are some of the more popular online tutoring companies that hire work-from-home tutors. Chegg hires tutors to help middle and high school students, college students and working professionals. When you sign up as a tutor you select your best subjects and Chegg will match you with potential students. You as a tutor can accept which students you’d like to work with. You can tutor from anywhere with an Internet connection. Plus, Chegg will pay you weekly when you work as a tutor for them. Tutor.com hires tutors to teach children as young as Kindergarten age all the way through college and beyond. They even have tutoring positions available for adult learners who need tutoring services. To qualify to tutor with them, you need to submit an application, pass a subject exam, do a mock tutoring session and pass a background check. You can tutor from anywhere and set your own schedule as you’re available. Tutors are paid regularly. VIP KID focuses solely on teaching children in China to speak English fluently. To become a tutor with them you don’t need to know Chinese but it can help. They supply the curriculum for you and you teach directly from the teaching manuals the company provides. There’s no communication with parents (corporate handles that) and you teach in a one-on-one setting so your student has your undivided attention. As a tutor for VIP KID you enter your availability for tutoring sessions one month in advance and then the company schedules students for you based on your availability. You’ll get at least 24 hours advance notice when you have a tutoring session coming up. This way you have time to prepare and go over your training materials for that lesson. As you can see, there are a few different options and several companies that will hire people to work from home. It’s important when researching work-from-home jobs that you know the available types of employment statuses before you decide who you want to work from home for. There are two general options: working as a W-2 employee where your paycheck is given out with taxes and other deductions taken out ahead of time, or working as an independent contractor where you are given your full earnings and must pay taxes on your own. Here’s a little more information about each option so you can decide which one is best for you. Many companies these days will hire direct employees to work from home. As a direct employee you’ll get a regular paycheck, taxes, benefits and other costs taken from that paycheck, and a W-2 at the end of the year. You’ll likely have required hours you need to work, company training manuals to peruse and a boss that will supervise you. If you work for yourself from home you’ll handle things a bit differently. First, you’ll likely get to decide the hours you work and your rate of pay. Second, you can choose the types of work you’ll do. However, any income you make will be treated as business income. You’ll get your money directly from the customer with no taxes taken out. At the end of the year you’ll get a 1099 or similar tax form from each client. It will be your responsibility to keep track of your income, your expenses and to pay taxes accordingly. There’s no right or wrong answer as to which type of work-from-home income you choose. But, it is important to know the difference between the two. Depending on the type of work-at-home jobs you choose, you can control how much money you make. It could be a few hundred dollars a year ,or even tens of thousands of dollars a year. Working from home isn’t for everyone. However, if you’re a self-starter, willing to learn new things, and committed to being disciplined and organized, a work-from-home job might be the perfect way for you to increase your income or have a career from the comfort of your own home. Maybe You Would Rather Pick Up a Side Hustle? 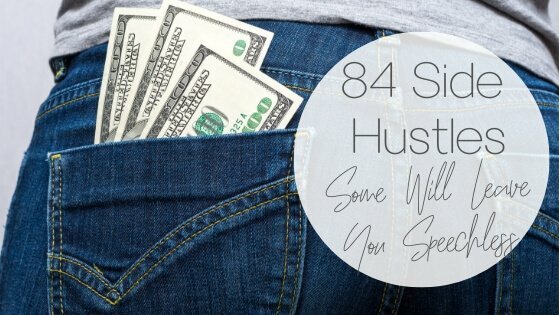 If none of these options sounds like something you’d be interested in, we do have a list of the 84+ Side Hustles you can start today to start generating income. We broke down all side hustles into eight different categories for you to choose from: online, extremely passive, some skill required, physical labor, very unique, driving, bizarre and just plain simple. When I first started seeking self-employment as a career, I checked out FlexJobs. 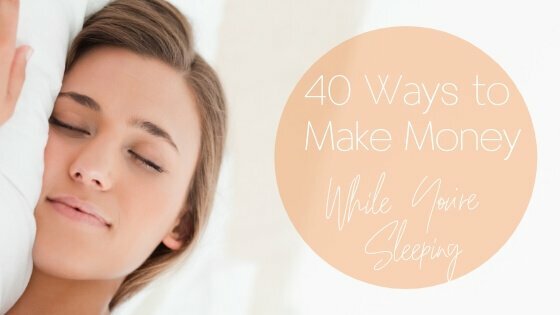 This is a very thorough list that gives many ideas that I paid for. Great list and I’ll be sharing it. you have to pay a fee,right? I’m needing at home work but worried about it he scams. There are scams out there, but these are legit! I’ve been working at Alorica for 2 years. It’s legit. What do you do with them ?